The company began its journey as GKB Rx Lens Pvt. Ltd in the northern Indian city of Agra way back in 1959. 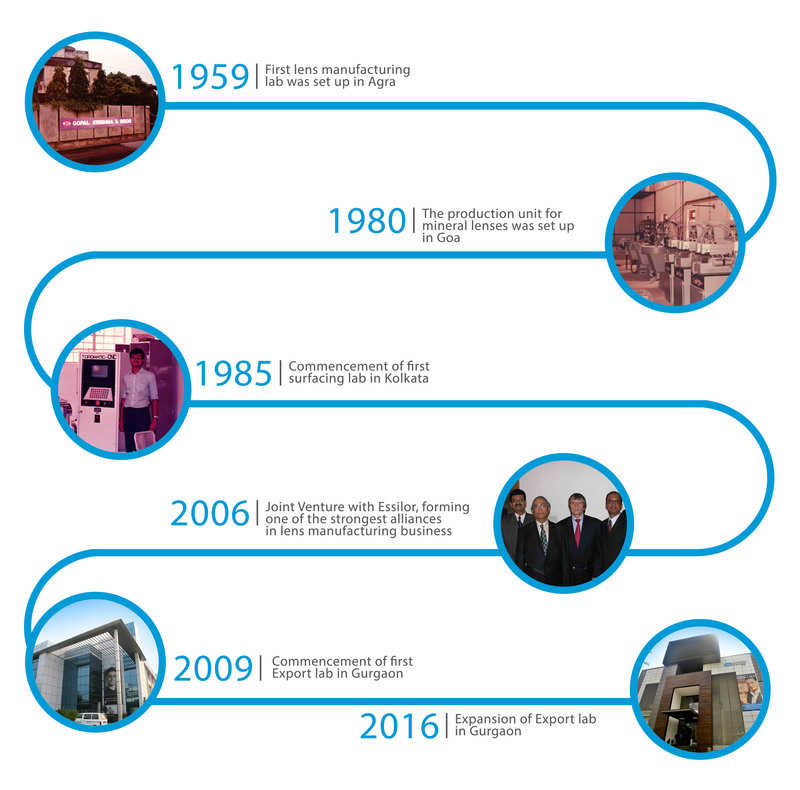 The principal activities soon shifted to Kolkata where the first surfacing lab was set up.Over the years, GKB partnered with reputed European ophthalmic firms for technology, equipments, raw materials and consumables to boost production. Today the company has now grown into a large infrastructural setup of 19 labs and 43 service centres spread across India, with a fully dedicated international operations facility in Gurgaon. It also has international offices in Dubai and Canada, to meet the growing demand for premium ophthalmic lens products in the international market.